Puppies have unique needs, and understanding them is the first step on the road to raising a well-adjusted dog. Bone up on everything you need to know before you bring that new bundle of fur home. A lot of preparation goes into picking out a puppy, and your pet is going to need special supplies to keep him happy and comfortable. The following articles will help you get off to a good start. New Puppy Checklist - This handy checklist covers supplies, basic veterinary care, and a training list you can use to make sure all your bases are covered. 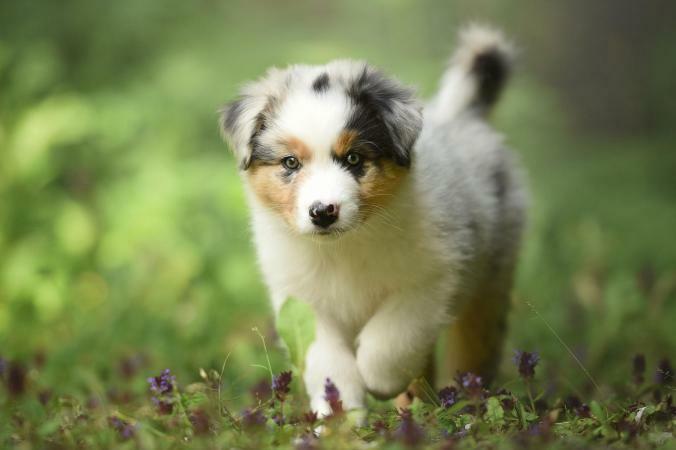 How to Pick Out a Puppy - Get tips on how to decide which breed you want, and then learn how to pick out a healthy, well-adjusted pup. Tips for Choosing Puppy Names - Get advice that will help you choose the right name for your new pet. Training should begin the day you bring your new pet home. Set standards for your puppy's behavior, and be fair and consistent with him so he learns what you want. How to Train a New Puppy - Puppies need loving guidance to reach their full pet potential. Use positive reinforcement, not punishment, to teach your pup what he needs to know. Potty Training Techniques for Puppies - Housebreaking a puppy is one of the biggest hurdles a new owner faces. Get tips that will help you get the job done right. Train Your Puppy Not to Bark - Nuisance barking can ruin the relationship between you and your puppy. Learn how to discourage non essential barking. Owning a puppy isn't all fun and games, although that's certainly part of the package. You're also responsible for your pet's health and well-being, and this includes providing him with proper nutrition, as well as some basic veterinary care. Puppy Kibble - There's a difference in the nutritional needs of a puppy and an adult dog. Get tips for feeding puppies of various sizes. Puppy Weight Estimates - Learn how to tell if your new pet is too thin, too fat, or just right. Administering Vaccinations - Learn which vaccines are contained in the typical combination vaccination, as well as how often your pet should be vaccinated. Although it's tempting to bring home the first cute puppy you see, try to hold off until you truly understand the type of commitment you're about to make. Spend time reading through the articles in this category, and you'll find you're better prepared for the challenges and joys of dog ownership.